På andra sidan Swede Hollow - "Musiken håller hög klass..."
Sweden 1917. The First World War is ongoing, and the famine is so great that hunger strikes and protest marches break out across the whole country. Taking the lead are the women. For more than two decades they have been fighting for the right to vote and now everything is at the brink of breakthrough. Elvira is in her twenties, and has moved to Stockholm from Dalarna. She meets her soul mate Ewald: a poet and singer with a burning political commitment. Together they fight for a more equal society, but following repeated arrests Ewald decides to emigrate. The future lies in America! There exists freedom of speech and freedom of religion, and every person has the chance to create their own fortune. Twenty years later, 1940, Elvira recounts her story. How she travelled in Ewald’s footsteps and ended up in Swede Hollow in St Paul, Minnesota. There, Swedes were at the bottom of the social ladder. What happens to a person who is met by prejudice? A story about when the Swedes found themselves on the other side, when we were they. 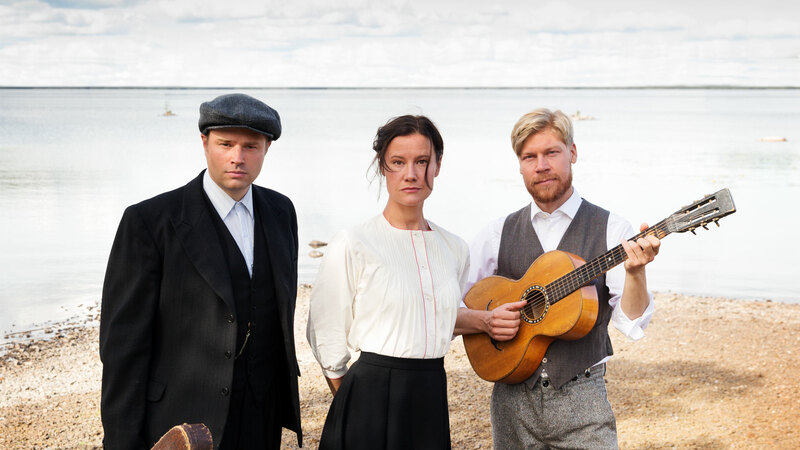 Music: Malin Foxdal, Anders Nygårds & Magnus Zetterlund, and traditional folk music. The performance has been created within the framework of Dalateatern Goes Folk, a project led by Dalateatern and Folkmusikens Hus in which the ensemble were Artist in Residence at Dalateatern. The ensemble is now touring as an independent group. More information can be found at www.scenkonstportalen.se During the creative process the production has had the support of the Swedish Arts Grants Committee, the Swedish Arts Council, Dalarna County Council, Bilda/Folkmusikens Hus and Dalapop.